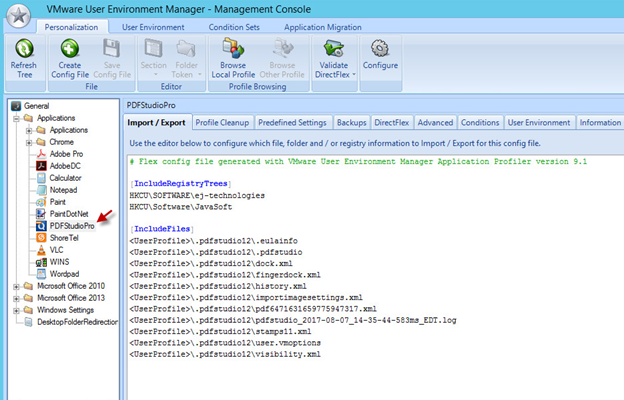 By default UEM uses group policy to redirect folders to a network location. This group policy only has the standard user Subfolders like Desktop, Favorites, but not the main user folder. 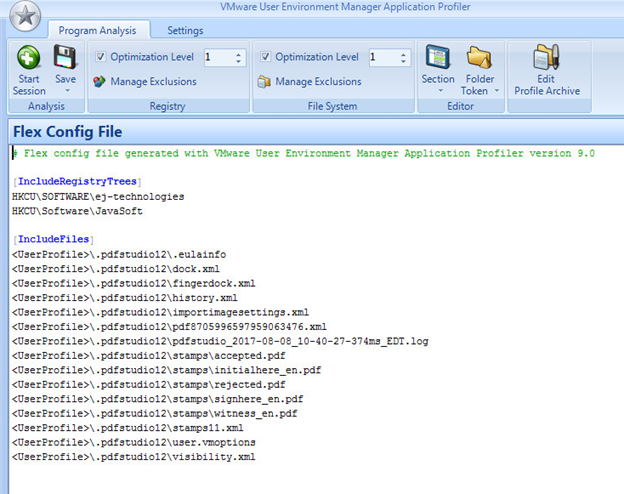 For this reason any custom folder that gets added has to be redirected with application profile that is made with the Application Profiler by VMware that comes with the UEM installation. To use it, you need to have it installed on a virtual machine that is as close as possible to the base image used in your Horizon View virtual machine pools. In this example, we just use a clone of that base image. First you need to install the application you want to profile on the virtual machine that has the Application Profiler but do not run/open it after it is installed. Reboot the virtual machine after installation. After that, start the Application Profiler and make sure the exclusions are set according to your environment. More detailed information is in the 2nd link above. To start click on the Start Session green button and then browse for the exe to start the program you want to profile. There is a programs folder like in the Start Menu to make this easy. 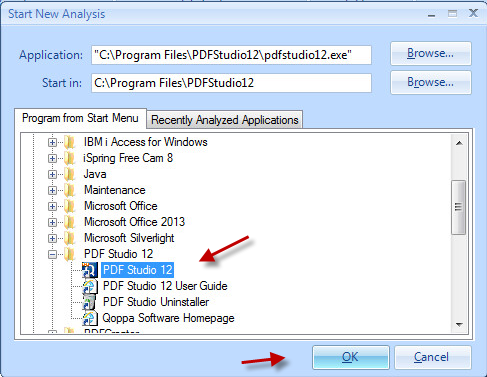 Click on the program and then click on OK in the Start New Analysis window. After you click on OK this will launch the program. You just need to go through the initial configuration like accepting the license agreement, adding license key, and making any necessary setting changes. After you are finished just close out of the program. If you need to make any changes you can. When you are ready to save, click on the Save button at the top and then save your configuration file where you have your UEM configuration files saves on your network. Now you will need to go to the server you have your User Environment Manager Management Console installed and make sure the new configuration file is there and the settings you wanted saved are correct. With the setting there and correct, log into a virtual machine that has UEM and open the program you just profiled and make the needed changes like activating the program. Log out of the virtual machine and then log back in. In a linked clone environment this will cause the first machine to recompose back to the base image and when you login you will get a different virtual machine. In the new virtual machine open up the program again and make sure the settings were saved and applied. If so then you are done and it should work for all users.